I spend most of my time reviewing food and restaurant,claiming and listing places in Davao that are highly recommended in terms of ratings I give to each restaurant I visited. 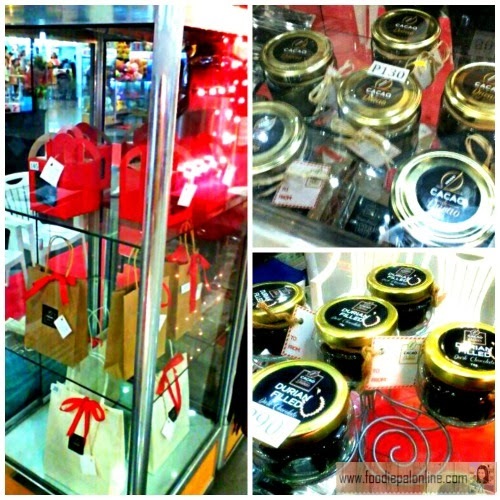 Then I got the chance to pass a LOVE BAZAAR in SM City Atrium Ecoland, showcasing different products made here in Davao City. And I said, why not make a review post about a chocolate drink. Well, why not? 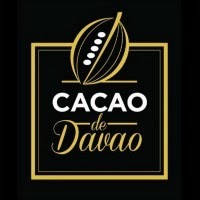 I am a certified coffeeholic and at the same time chocoholic drinker, that's why when I saw CACAO dE DAVAO I was greatly intrigue with their products. A bit peculiar with their products, that I have to taste it to know and compare it with others. They have a FREE TASTE of their 70% DARK CHOCOLATE with ORGANIC COCONUT SUGAR and DURIAN FILLED DARK CHOCOLATE TWO IN ONE READY TO EAT CHOCOLATE and as a DRINKING CHOCOLATE. Chocolate and coconut are a classic duo indeed. So love the taste, good for children as well. So healthily good! This chocolate is a bit intriguing to me, there is an after taste that you cannot describe. Something like a thingy sensation right through your mouth. But nevertheless, I still love the taste of the durian inside the chocolate. They have a HOT CHOCOLATE for only PHp40/cup at the Bazaar (but if your going to buy one of their product you will have a free drink of it). 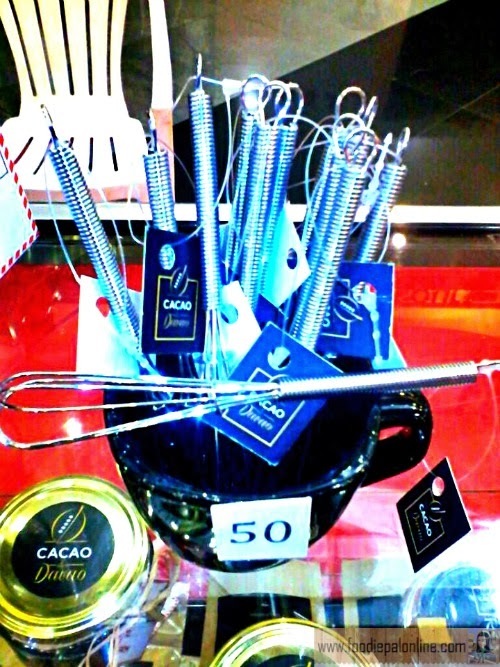 And they also sell 5-inch mini whisks for only PHp50, to have easy mixture and to blend chocolate smoothly. 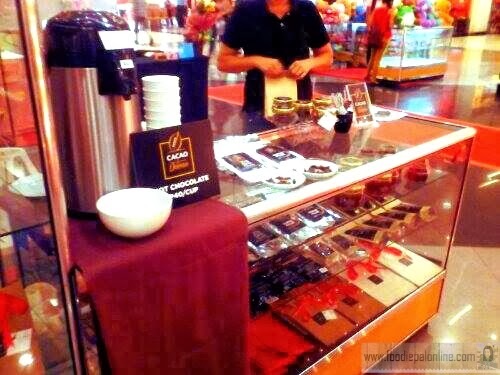 Love month is not yet over, so you still have the time to buy gifts for your love ones who loves chocolates as well. Why not give him/her a gift that will surely make him/her happy. Their chocolates price ranging to PHp80-150. Very affordable. 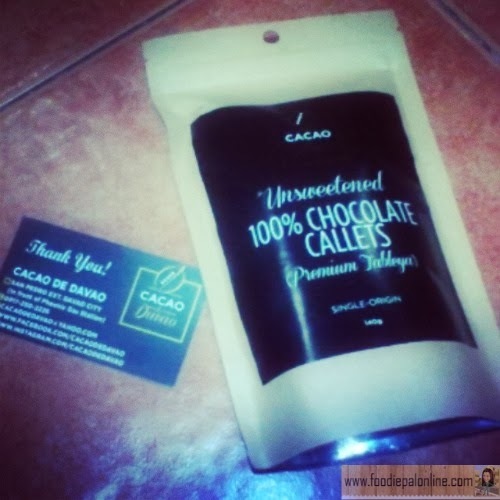 I bought the UNSWEETENED 100% CHOCOLATE CALLETS PREMIUM TABLEYA. A new way to enjoy chocolate in a cup. There will be no boiling needed, as instructed by the woman assigned, just add 3-4 callets in a cup of hot water and add condensed milk. And viola! You have an instant cup of chocolate from a premium tableya. 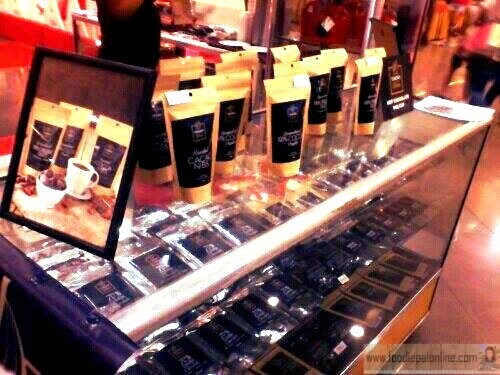 Visit SM CITY ATRIUM ECOLAND LOVE BAZAAR now, this will be their last day showcasing their products. Or you can visit their place located at SAN PEDRO EXT., Davao City (in front of Phoenix Gas Station). cool been looking for 100% unswetened. hope they sell here in manila too. 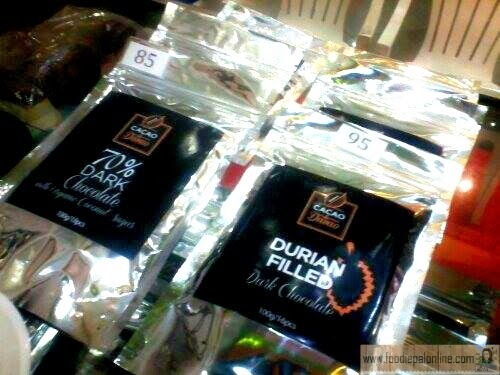 An awesome and different twist of flavored chocolate that Davao needs to spread to the whole world. A healthy way to start a new day. i love to bake so i super need this for my cupcakes :) hoping someday i can visit this store.. I am looking for Cacao here in our province but we don't have that.Luckily these are available in stores and malls here. 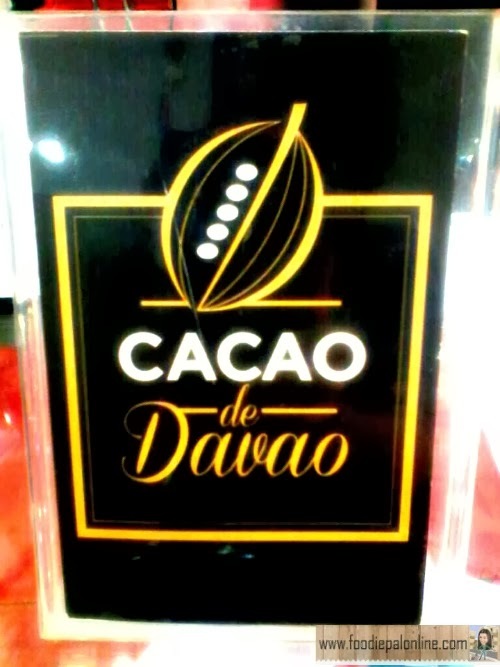 Cacao is also a partner of champorado and my alternative to coffee..
Chocolate infused with Durian is so Davao, hope to try it when I got home. I like the different flavor of chocolate here. They have really unique flavor. I haven't tasted durian but I know it due to its popular attribute. Can't imagine it mixed with cacao. Great post! I have always been interested in the different types of chocolate. Will surely try this out when we go to Davao. Aren't these chocolates also available in Malagos Resort in Davao? I thought they are also selling cacao because they have their own farm. This one is different from Malagos Cacao sis +Rochkirstin. i love chocolates! most of my dark chocolates are from india 80%cocoa it is very hard to find one here. that drink with coconut sounds yummy! Waahh is this available in supermarkets here in manila? Would love to try this. The last time na nakatry ako nito was years ago na. Not yet sis Genzel. Yung market nila is here in Davao muna. But their planning to market the product outside Davao. Ohh, this may be a good try! :D I love Cacao and can be used in different and many things. 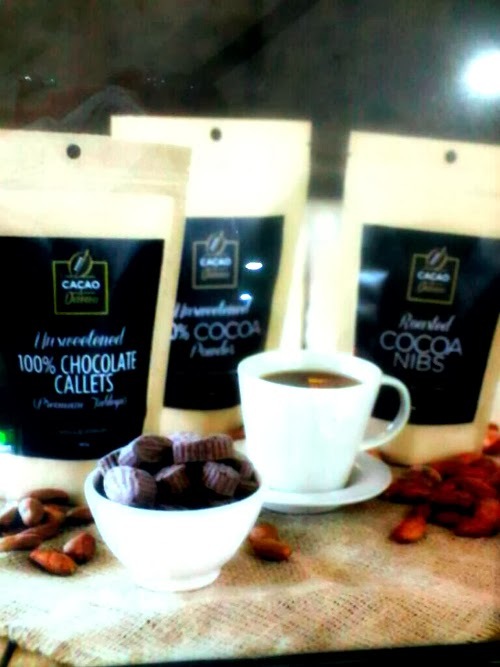 Cacao is our own version of chocolate and you can find the best cacao in davao- as I know. As soon as this will be available on nearest supermarket I will give this a try. Oh my gosh! I love chocolates specially dark ones! I think I will love this brand too. you've got to try their cacao nibs! not only it tastes good but as i googled the health benefits of it , it said could even cure many diseases because of its high flavanoid content.. stopped my long overdue menstruation maybe for its anti-inflamatory properties.. perfectly healthy and delicious crunchy snack!